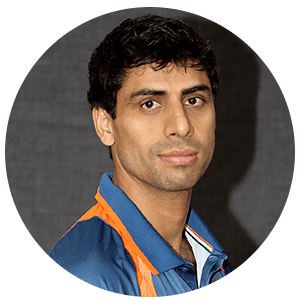 Ashish Diwansingh Nehra ( pronunciation Hindi: आशीष नेहरा; born 29 April 1979) is an Indian cricketer (left-arm medium fast bowler) who has represented India at the international level since 1999. He embodies various virtues of a left- handed bowler- pace, accuracy, strategic variations in line and length, and the ability to swing the ball both ways. He has been particularly effective with the new ball and at the death overs. Due to fitness issues, he has been absent from the national scene for extending stretches, but has been a part of the Indian team in two largely successful World Cup campaigns, two Asia Cups, and three Champions Trophies. He has also been particularly effective in the IPL, in which he has represented five different teams. 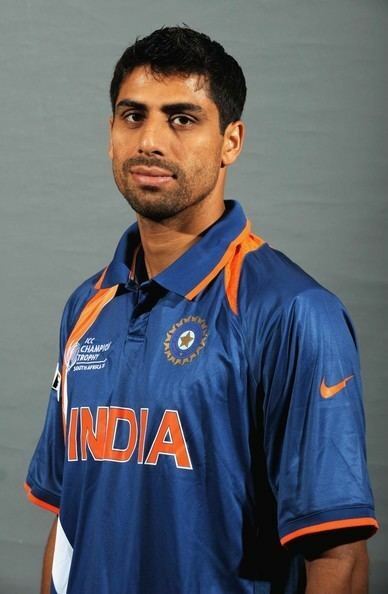 Ashish Nehra was also famously called "one of the best bowlers that the Indian team has ever seen", by Ravi Shastri. M.S. Dhoni also suggested Nehra's name as the future bowling coach for India considering his massive experience, his ability to easily swing the ball both ways and his bowling under pressure. 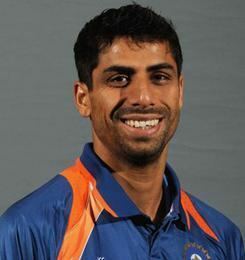 Nehra started playing first-class cricket for his hometown, Delhi, in the 1997/1998 season. 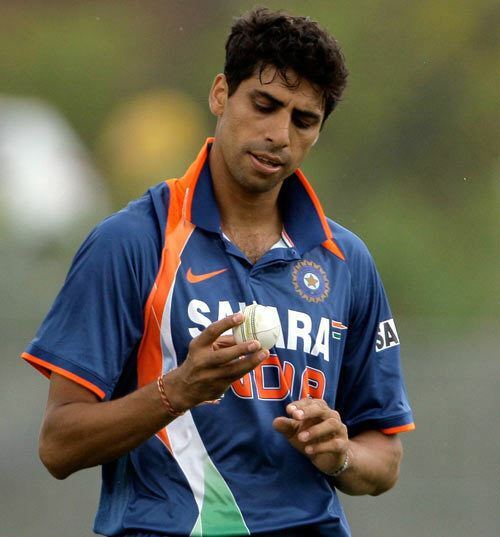 Nehra made his Test debut against Sri Lanka at Colombo in 1999 and his ODI debut against Zimbabwe at Harare in 2001. On his Test debut, Nehra started out well, dismissing Marvan Atapattu early but then failed to pick up any more wickets. Similarly, he dismissed Alistair Campbell with only his 2nd ball in ODIs. He was also part of the Indian team's run at the 2003 World Cup in South Africa. It was there against England, that he got his career-best ODI figures of six for 23. His performance in the other matches in the World Cup were also noteworthy. However inconsistency and successive back and ankle injuries have prevented him from cementing his place in the Indian team. His career statistics are better in ODI cricket than in Test cricket, but with 144 ODI wickets at an average of 30.54 his average is higher(lesser the best) than all three of his main competitors for fast bowling places in the Indian team – Irfan Pathan, Zaheer Khan and Ajit Agarkar, who all have bowling averages below 30. The new crop of fast bowlers like Munaf Patel, RP Singh and Ishant Sharma also add to the competition. Nevertheless, Nehra completed recovery from a bowel injury in March 2006 and tried to make a comeback into the Indian team. He recalled to the ODI squad for the tour of West Indies in June 2009 after 4 years due to an injury to Zaheer Khan. 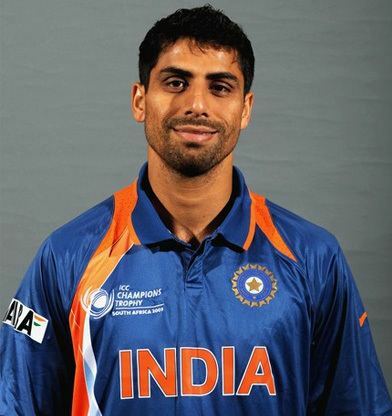 In 2011 Cricket World Cup, Nehra played his first game vs South Africa. He was expensive giving away 65 runs during 8.4 wicketless overs. He gave away 16 runs in 4 balls when he had to defend 13 runs in the last over. After this, many thought Nehra's world cup was over. He was, however, a surprise inclusion against Pakistan in the semi-final ahead of Ravichandran Ashwin. Nehra redeemed himself by being the most economical bowler for his side taking 2 wickets in 10 overs for a mere 33 runs as India beat Pakistan by 29 runs. He however could not play the final due to a fractured finger on his right hand. After recovering from his injury, Nehra made himself available for the 2011 ODI series in England; after being ignored, he commented that he was 'deeply hurt'. Despite the backing of former Indian bowler Manoj Prabhakar and a decent Ranji season, he was ignored for the subsequent tour of Australia as well. Recently, Nehra made a national comeback in the T20 squad for India's tour of Australia 2016, the Asia Cup and the world T20. After performing against Australia and Sri Lanka, he was promoted to India's main bowler at the age of 36.He Continues his good performance against England T20 series in 2017. Took 3 for 28 on 2nd T20 match. After recovering from the ankle injury that prevented him from playing for the Delhi Ranji Team in the 2007–08 season, Nehra joined the Indian Premier League and signed up for the Mumbai Indians franchise. He won the Man of the Match for the game versus Rajasthan Royals taking three wickets on 7 May 2008. He played for the Delhi DareDevils from 2009. He was picked up by Pune Warriors India in the latest 2011 IPL player auction for a sum of Rs. 3.91 crores,. 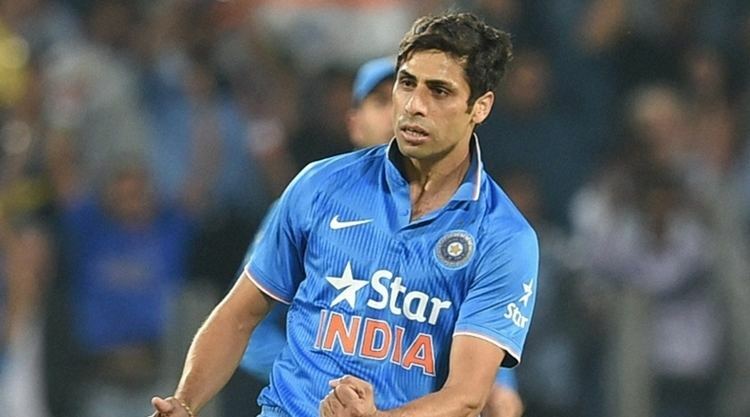 Nehra was ruled out of IPL-4 for first few matches due to a fractured finger on his right hand. He came back again in the IPL-5. He was swapped up with Ross Taylor to play for Delhi Daredevils in IPL 6. In the 2014 IPL auction Nehra was bought by the Chennai Super Kings for ₹2,00,00,000. His bowling skills had been showcased to its full extent in IPL 8. He took 22 wickets in 16 games at an average of 20 with an economy of 7.2, proving his worth once again and was one of the highest wicket takers in competition, only to lose to his teammate who won the purple cap; Dwayne Bravo. In the 2016 IPL auction Nehra was bought by the Sunrisers Hyderabad for ₹5,50,00,000.